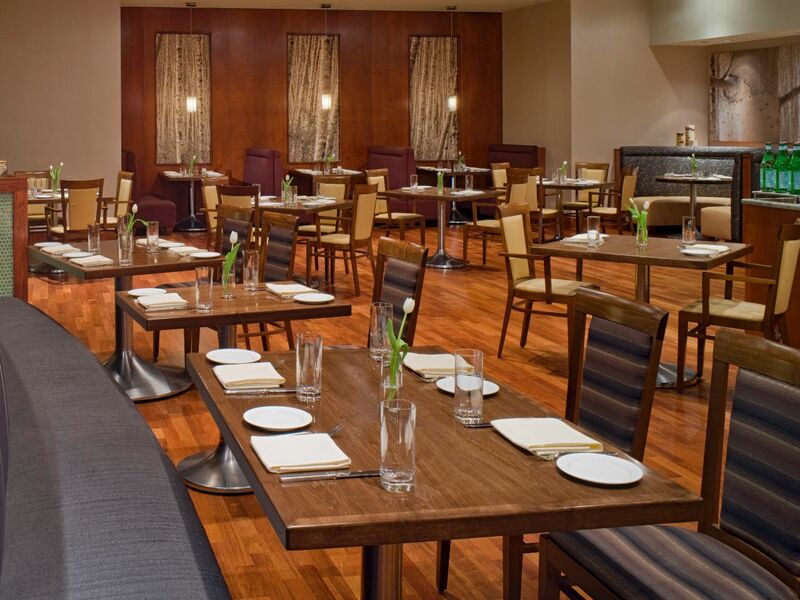 Hyatt Regency Dulles offers three unique restaurants near Dulles Airport located just off the lobby and on the first floor of our hotel. Savor sumptuous regional-inspired cuisine in the modern elegance at Elements on Level One. 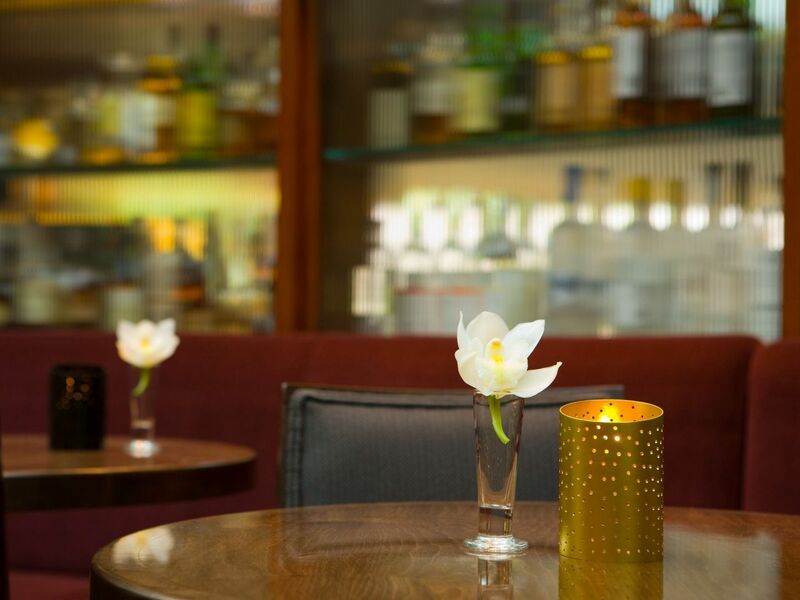 Swing by the Lobby Bar, and enjoy signature cocktails, drinks, snacks and a daily happy hour. Stop in for a fresh cup of coffee and pastries at Express-O’s. Or enjoy a convenient breakfast or romantic dinner in the privacy of your suite using our room service, available from 6:30 a.m. to midnight. Dining at Elements, you can order classic dishes like Half Roasted Half Chicken, or try something new like our Wind dessert, which includes marbled whoopee pies filled with cream cheese and caramel sauce. 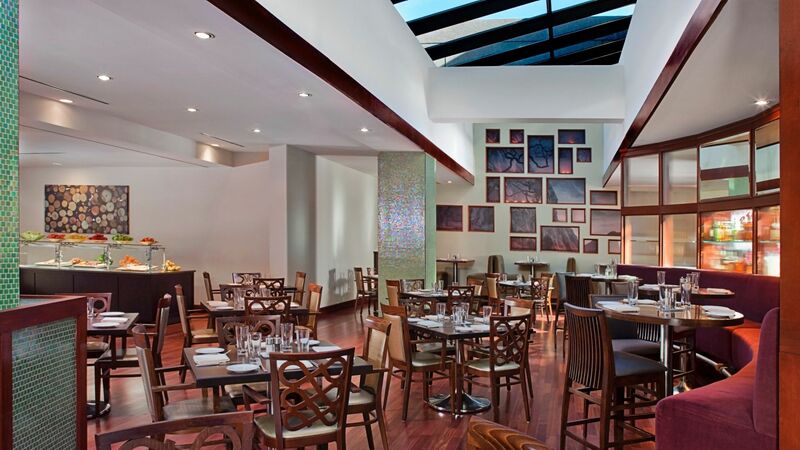 The menu offers wide- ranging options from fresh salads and fine dining entrees to health- conscious meals. Private dining is available if you want to gather with colleagues or loved ones. Throwing a party of 10 to 60 people? Consider renting our Private Dining Room, with special menus and wines that will go best with your get-together. Featuring specialty coffee beverages with Torrefazione Italia coffee, fruit, pastries, beverages and more available all day from early morning, till late night. 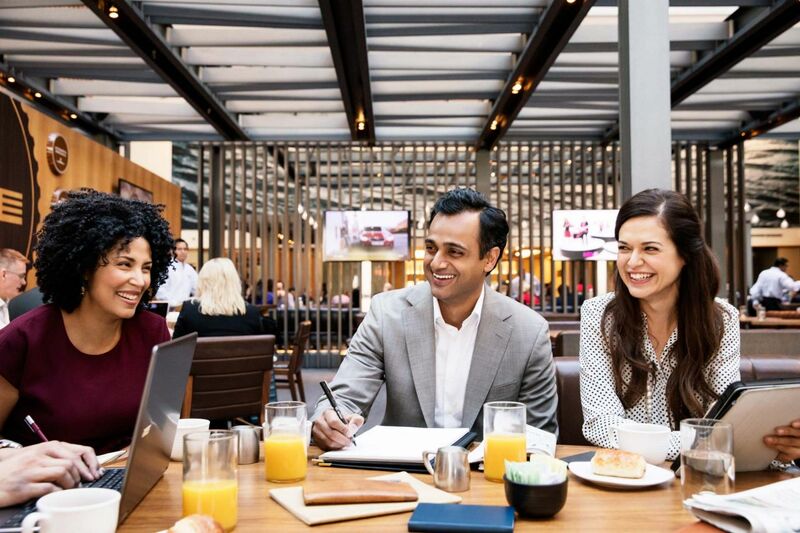 Multi-task to your heart’s content in our welcoming Herndon bar; we’ll understand. 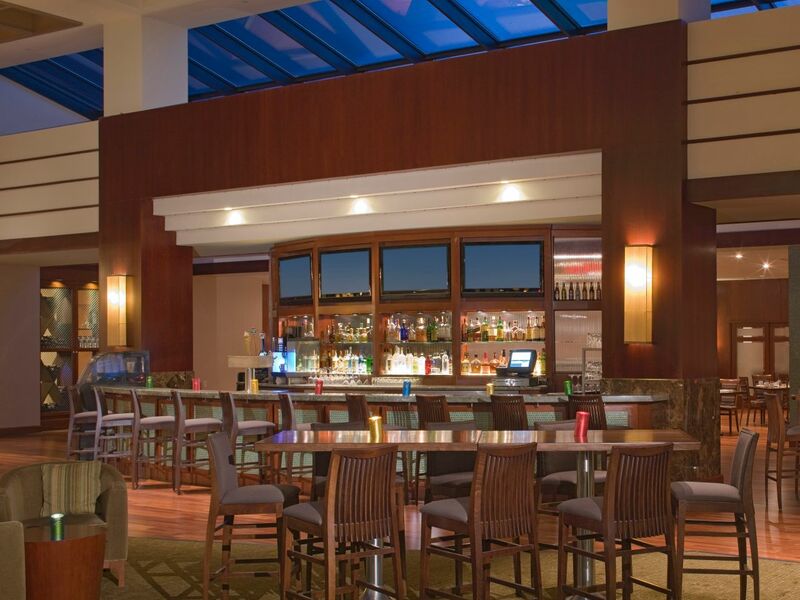 Conveniently located in the heart of the atrium lobby, our comfortable Herndon VA bar exudes a relaxing vibe that beckons weary travelers and rushed commuters to just sit down and enjoy a cocktail. Sink into an overstuffed armchair and order Grilled Lamb Chops and the Happy Hour special, or settle onto a seat at the bar to watch the game on one of our flat screen TVs. Enjoy a convenient breakfast or romantic dinner in the privacy of your suite using our room service.